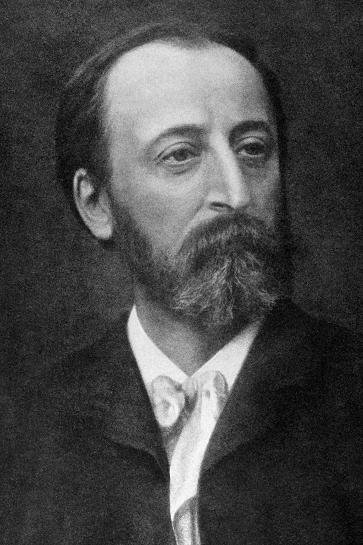 Like many 19th century classical composers, Camille Saint-Saëns was a child prodigy. His Great Aunt taught him piano from the age of 2 and a half, and the young boy was composing from the age of 6 and giving public performances from an early age. By age 10 he had memorised all of Beethoven's piano sonatas, offering to play any one as an encore to his recitals (There are 32 and many are very challenging even for professional pianists!). Although music was his main field of study, (as pianist, organist, conductor, composer, improviser, scholar and historian), Saint-Saens developed many other interests from a young age as an artist, writer, poet, philosopher, linguist, mathematician and many others. He studied at the Paris Conservatoire as a teenager and completed his first Symphony at the age of 18. His skills as a organist had few rivals and drew recognition from other great musicians of the day, including Clara Schumann, Charles Gounod and Anton Rubenstein. There is a story that he impressed Wagner and Liszt by picking up the full orchestral score of Siegfried playing all the parts simultaneously from sight. Despite all this early potential, the name of Saint-Saens did not quite enter the history books in the same way as for example Mozart. However his accomplishments should not be underestimated. He composed many works of all types and by all accounts he composed effortlessly, finishing some commissions very quickly indeed. Although familiar with and following the constraints of classical forms when it suited him, his effortless style seems to allow his music to flow from one idea to the next, which perhaps mirrors his unique skills in improvisation. He composed many orchestral works, but clearly had an affinity for keyboard works and solo string instruments. One unique claim to fame which makes Saint-Saens an interesting composer for mfiles is that he is credited as the first major composer to be commissioned to compose film music, and 2008 marks the 100th anniversary of this significant event. In 1908 he composed the music for an 18 minute silent film called "L'Assassinat du Duc de Guise". This film dramatises events in the time of Henry III and more information about this centenary is given below. By many accounts Saint-Saens could be a difficult person, but he did have a circle of close friends and a sense of humour. His most famous piece is Carnival of the Animals and was written to be performed privately by a group of friends, and it doesn't just depict animals in nature but includes movements for "personages with long ears", "fossils" and even "pianists". The complete "Carnival of the Animals" consists of the following movements: Introduction and the Lion's Royal March, Hens and Roosters, Wild Assess (Swift Animals), Tortoises, The Elephant, Kangaroos, Aquarium, Personages with Long Ears, The Cuckoo in the Deep Woods, Aviary, Pianists, Fossils, The Swan and Finale. Apart from the movement known as "The Swan" Saint-Saens didn't allow the work to be published in his lifetime but made provision for its publication in his will, perhaps knowing that it would become so popular as to eclipse his more serious work - see the article Humour in Music. 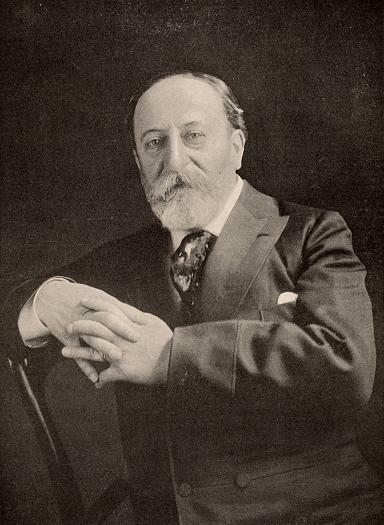 As previously noted, Camille Saint-Saëns was the first major composer to write music specifically made for the cinema. The film LAssassinat du Duc de Guise (The Assassination of the Duke de Guise) was directed by André Calmettes and Charles Le Bargy, written by the academic Henri Lavedan and produced by Le Film d'Art (released by Pathé). The first showing of the film took place at the Salle Charras in Paris on 17 November 1908 and the event received considerable press attention. This event will be celebrated in many ways throughout 2008 and 2009, organised by UCMF (The Union of Film Music Composers) and supported by many French organisations. 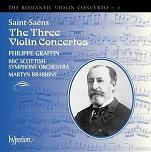 The CD "Saint-Saëns: Greatest Hits" is an excellent introduction to the composer's most famous works, including 2 movements from "Carnival of Animals", 2 movements from Samson and Delila, Dance Macabre, Introduction and Rondo Capriccioso, extracts from the 2nd Paino Concerto and 3rd Symphony, plus other works. The complete "Carnival of the Animals" is often combined on CDs with Serge Prokofiev's Peter and the Wolf, Benjamin Britten's Young Persons Guide to the Orchestra or other family works. 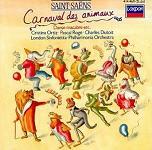 The second album listed below has the complete "Carnival of the Animals" but combined with other orchestral works by the composer: Phaéton, Le Rouet d'Omphale, and Danse Macabre. These and other albums featuring the music of Camille Saint-Saëns are listed below.